Home / Uncategorized / Silverwood Scout Camp| Barnsley |Investigation | Ghost’s Miners Caught On Camera? 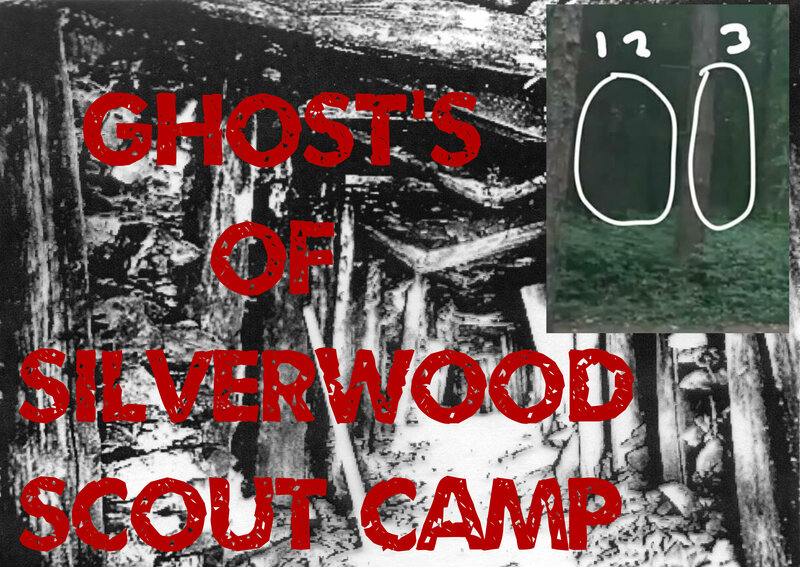 Silverwood Scout Camp| Barnsley |Investigation | Ghost’s Miners Caught On Camera? Ghosts Of Britain Investigated the silverwood scout camp located within Barnsley on Sat 30th june was formally known as silverwood colliery, which has it fair share ofghost tales and spooky happening did we find the miners who lost their life’s all them years ago!!?? People believe we did! Local history / Ghost and hearsay. The area was used as a military training ground for troops in WW1. 80% of people who signed up for war at this area never make it back. Mine crash – 10 people were killed within the mine with 2 carriages running into each other. upon inspection the carries was fine and brakes worked perfectly, so its a mystery of why and how they crashed together. Gas Explosion – 200 men and children lost their life’s due to a gas explosion which led to the closing of the site. Local legend of a child who fell in the swamp and died and her spirit has said to be seen on multiple times . The Spirit of a guards man is meant to be seen roaming the lands. after he was on duty and fell down a mine shaft to his death. frequent reports of male figures with old overalls on carrying a lamp. which has been known to terrify people out of no where, just comes from the darkness. We left the church area to try find the swamp, which was a struggle as we didnt find it, we decided to go across the live train platform to see whats across there. and there was an instant feeling compared to the woodlands we just came from. it was a complete different vibe and look. everyone felt abit strange and said the area seems so DEAD. back across the train track full with life, back on this side DEAD. trees dead, No bird sounds, no Winds, you could HEAR A PIN DROP. with mins to spare till the live investigation, we felt this was the best area to start the stream. So we did a brief introduction to the live audience watching us on facebook. We jumped right into an EVP session. since it was so quite, we asked a few questions and replayed the recording back to find a fly noise. but we cant remember a fly been around the recorder, we also then asked the live audience if they saw one. they said No. anyway didn’t think to much to it. then we heard footsteps like walking around us. we decided to try it again but this time i stood back so i could watch everyone’s feet and they could also watch me. this second attempt we didn’t get no footsteps sadly. but we are all sure we wasn’t walking around on the first session. We then decided to move location and take a path we didnt take before, a path which takes us back to the camp area.. walking down the path we noticed a swamp like area. maybe it was the area of this legend. we decided to ask some questions to the Ghost box. I dont think we got anything related to this area, and incident of the child’s spirit connected to the swamp. but we asked where do you want us to go, and a short time later it said MINE. the huge live audience who watch us every week are our second set of investigators and eyes, they sometimes will hear things we missed or see things we dont! and it was common that a few said we had people following us. 3 men following us around. Through the investigation we had the word MINE said one more time. are they wanting attention or is it just random coincidences ? On the sceptic side of things what could the picture be? “maybe paradolia where people are making patterns out of blurry pixels. Can many people be so wrong? i will let you decide and this concludes our investigation feel free to watch the LIVE investigation here.